They mean blood. Lots of it. They embed themselves like ink maggots twisting words, skewing thoughts, and threatening deletion. I know. I’m a victim. It’s a serious assault. Everyone knows only amateurs abuse commas. Professionals like me, an author of twenty six books and hundreds of articles, are never victims of these dreaded creatures. Wrong! These miniscule terrorists creep into my words like sleeper cells igniting literary dirty bombs. I watch and wait, yet still they appear without warning – apparitions hidden behind magnificent nouns. My only defense is to consult the battle manuals – the literary equivalent of Sun Tzu’s The Art of War. Like international tribunals, there are rules of commas. A lot of rules! OWL, The Purdue University Online Writing Lab offers eleven basic rules in their Quick Guide to Commas and fifteen in their Extended Rules. The instructions are very clear, like “Introductory elements often require a comma, but not always.” WhiteSmoke, billing themselves as “World-Leading English Writing Software” claims five uses for commas. Of course, the fifth use is labeled “other uses” with over twenty-five variations. It’s no surprise when author Lynn Truss points out in Eats, Shoots & Leaves: The Zero Tolerance Approach to Punctuation that “commas can create havoc when they’re left out or put in the wrong spot, and the results of misuse can be hilarious.” Funny commas? If you head over to YouTube, you’ll find everything from Comma-Kazis and Comma Raps to Mean Girls Who Use Commas. 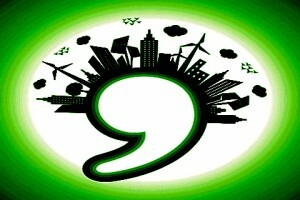 There’s even a diagnosis – “Comma Crazy.” Comma Crazies a.k.a. Comma Sprinklers are people who use too many commas. The Expert Publishing Blog, a resource for independent publishing, reports that when one student was asked about the rules for inserting commas, he had a simple solution: put a comma whenever the reader or writer pauses to take a breath. Think, about, it. A, comma, every, where, you, pause. Interesting advice. It seems that inserting a comma wherever you take a breath does have a solid foundation in the past. For more modern cultures, the problem began when the written word shifted from oral presentation to reading. The new role of the comma was to divide sentences into smaller units to make it easier and faster to understand. That’s when the real issues emerged. It’s a true grammatical conflict. The Comma Project from the University of Wisconsin states, “the comma remains the most frequently used punctuation mark – and undoubtedly the most frequently misused.” There’s danger in those commas. But if the Comma Crazy is not so crazy after all; if the “put a comma when you breathe” rule is grounded in history; then how does an ordinary writer cope? The Attack of the Commas is upon us.